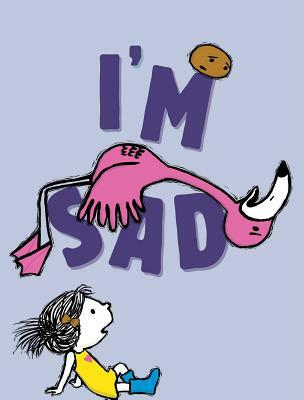 Michael Ian Black and Debbie Ridpath Ohi, "I'm Sad"
Everyone feels sad sometimes—even flamingos. Sigh. Debbie Ridpath Ohi is the author of Where Are My Books?. Her illustrations also appear in Sea Monkey and Bob, written by Aaron Reynolds; I’m Bored (New York Times Notable Book) and Naked!, written by Michael Ian Black; as well as ten Judy Blume chapter books and middle-grade titles. If you're unable to attend the event and would like a signed copy of I'm Sad, please purchase the "Signed" version below.